Build a tower, a town or just about anything with these large solid-wood standard unit blocks. 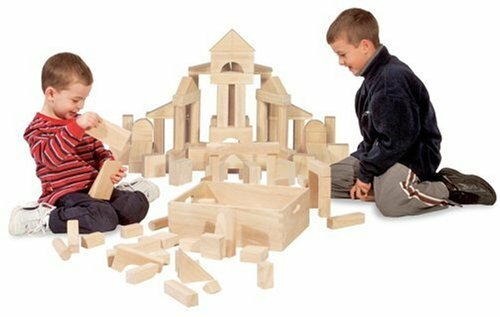 The 60 big, smooth-sanded sturdy blocks are naturally finished with a classic look for hours of classic fun. The handsome wooden storage crate makes clean up and storage easy. Measures 15"L x 12.25"W x 5.25"D.